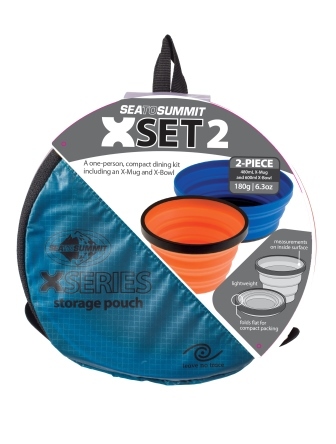 This set comes with an X-Bowl, X-Cup, and a lightweight zippered pouch with mesh panels. For the outdoor enthusiast who likes to keep their gear organised! Collapsing flat to only 23mm high, this set is perfect for those looking to conserve space. Note that product colour will vary based on stock available.